Transforming dull, broken-out skin into a radiant glow through nutrition is the name of the game for Jolene Hart, author of Eat Pretty. As a beauty editor, Jolene knows all the best skincare and cosmetics. She rubbed elbows with skincare giants and was surrounded by experts at all times. But somehow, none of that changed her reality of over a decade of skin issues. Of course, using effective skincare products works wonders for our skin. But without a balanced diet full of clean, whole foods, some of that hard work on crafting the perfect skincare routine is going to waste. 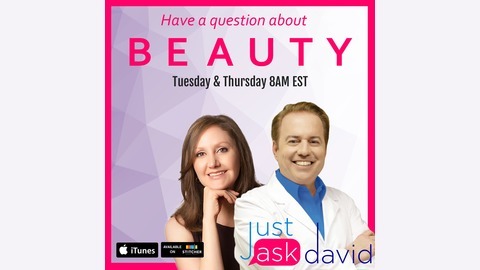 On this segment of Just Ask David, Jolene shares some of the nutrition tips that helped clear up her skin when no product could. Taking a multivitamin may be the easiest way to add essential nutrients to your diet, but Jolene suggests eating a nutrient-rich diet as a more effective way of clearing your skin. Beta carotene is another important nutrient. “It creates Vitamin A in your skin to help balance your sebum production and increases the rate at which your cells turnover so you don’t have as many clogged pores,” she explains. Healthy fats are also essential to incorporate into your diet if your goal is flawless skin. They help to absorb all of the fat-soluble vitamins that are in the foods you’re eating. “If you’re not eating those fats, your body’s missing out on a lot of nutrition,” Jolene says. The skincare industry depends on us not taking the initiative to research what we put on our skin. David Pollock is the beauty guru who is willing to take us behind-the-scenes to show us what works, what doesn’t, and what beauty trends are more about clicks than results. 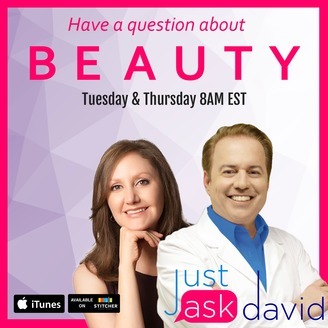 Get news on Safe Beauty, beauty science developments, wellness, and more by following @JustAskDavid on Instagram and Twitter! Episode 109: Are Your Skincare Products Natural?